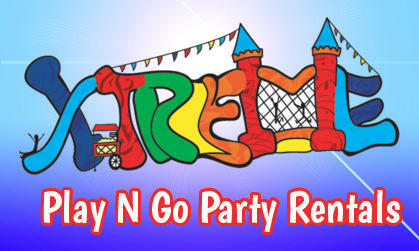 Xtreme Play N Go Party Rentals offers your child’s favorite character as a moonwalk rental theme: SpongeBob! This great inflatable bouncer has some great graphics. 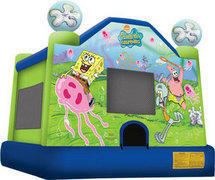 If you are throwing a Sponge Bob party, then it makes great sense to rent our this great bounce house. Not only is this a large bouncer, but its also very affordable. This moon jump rental features a safety ramp, allowing children to easily enter and exit the inflatable, netting on all four sides in order to allow adult supervision, and a full roof to protect from the sun rays or inclement of weather. 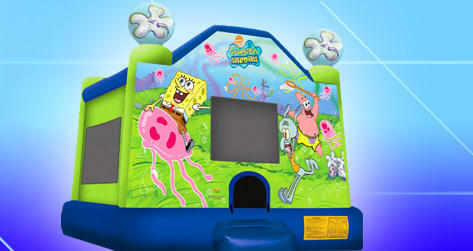 If you are looking for a great moonwalk rental, then make sure to book this Sponge Bob bounce house at your next children’s party!